Cardiac ablation (also called catheter ablation) is a procedure to treat irregular heartbeats, or arrhythmias. Abnormal heart rhythms are caused by abnormal electrical signals, which can prevent the heart from pumping enough blood to the body. In some cases, this can cause serious problems such as blood clots. Catheter ablation is performed by an electrophysiologist, a cardiologist who has had further training and specializes in treating electrical problems of the heart. At Southcoast Health, our electrophysiologists, along with a team of specially trained nurses who work in the electrophysiology laboratory, provide complex cardiac ablation in Fall River, MA to restore your normal heart rhythm. Our experts also offer the convergent procedure (convergent hybrid ablation) and cryoablation to treat atrial fibrillation (AFib). 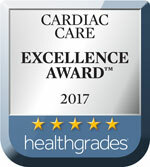 Is Cardiac Ablation Right For You? Cardiac ablation is performed at our electrophysiology laboratory. It involves inserting a flexible tube called a catheter into a vein, usually in the groin, and feeding the catheter up to your heart. After determining the reason for your arrhythmia with the help of catheters as part of the electrophysiology study (EP study), energy from an ablation catheter (which comes from cold or heat) will destroy the abnormal tissue causing the arrhythmia. This heart procedure can take a few hours. Depending on your individual situation and your specific ablation procedure, you will either be sent home the same day or need to stay overnight. Most patients are able to return to work and normal activities in a matter of days. Talk to your doctor about when you can return to exercise and strenuous activities following your treatment. At Southcoast Health, we make your health our priority, no matter what type of care you are seeking. The cardiac arrhythmia team at Southcoast Health in Fall River, MA is here to help you keep your heart healthy for years to come with our variety of heart care services, including cardiac ablation. 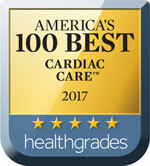 To learn more about cardiac ablation, your heart health, and how we can help you, please contact us today.